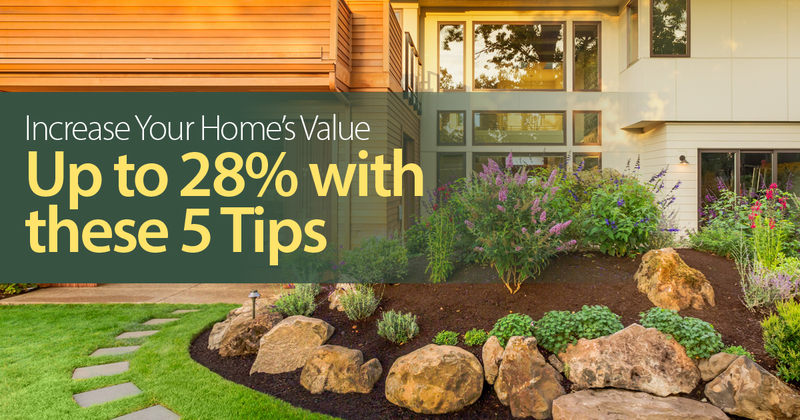 Take a deeper dive into the details of increasing your home's value up to 28%. Great curb appeal not only makes your home the star of the neighborhood, it can also improve its value and help you sell it for more. Whether you’re thinking of listing your home or just want to make your home the envy of your neighbors, here are several ways to increase your home’s curb appeal. How to make your home feel "inviting"
Fill out the form to get these valuable Top 5 Tips for Increasing Your Home's Value Up To 28%!